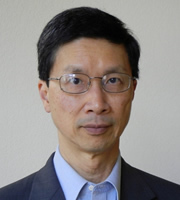 Yuet Lee is a business and technology consultant focusing on clean tech projects and startup companies in the energy efficiency and green building industry sectors. He has been a Cleantech Open volunteer since 2008 currently serves as Chair of the Cleantech Open National Mentor Program. Yuet has over two decades of achievement in technology and business for the communications industry. In his last and most recent corporate role, he led business development for Nortel - evaluating wireless, optical and enterprise data technologies and products, assessing business opportunities, building business cases, closing partnerships and investments with external companies. At Pacific Bell/SBC prior to Nortel, he managed successful introductions of broadband/IP networks, directed network architecture planning activities and the data products verification lab. Yuet has a Ph.D. in Mathematics from MIT and has also completed an executive management program at the Kellogg Business School.